BROWNSVILLE — Taylor Nicole Ramirez fidgeted anxiously as Cameron County prosecutors began setting up the video showing her crash into motorcyclist David Salinas. In just seconds, the jury would see what happened that early morning on Loop 499 in Harlingen. Ramirez sat near her attorneys yesterday afternoon during her first day of trial. She faces up to 20 years if convicted in the death of Salinas. Ramirez has been charged with second-degree felony intoxication manslaughter with a vehicle. The video shows Salinas coming to a complete stop at the intersection of Grimes and Loop 499. And it shows his motorcycle stalled as he attempted to drive before he was hit. At first glance it looks like Salinas stopped at a red light. But the defense later showed he was actually stopped at a green light for nearly 20 seconds before Ramirez crashed into him. A jury was selected Monday and her trial is expected to end later this week. But it was yesterday the jury saw for the first time the violent crash that sent Salinas to the hospital, where he later died. As prosecutor Michael Guerra set up the video, the courtroom visitors sat silently — many of them holding their chin nervously waiting to see for the first time the footage from that morning obtained by Harlingen police investigators. And then, a woman in the courtroom with no more than 50 people in attendance gasped in horror at the sight of Salinas being struck by the vehicle driven by Ramirez. Blaylock said to the jury accidents happen when you are stopped at a green light. He continued his defense that Salinas had been impeding traffic and had been waiting at the intersection for 18 seconds before he was hit. Both families sat in a single row separated only by a couple of seats between them in state District Judge Janet Leal’s courtroom yesterday. Leal allowed the prosecutors and defense to replay the surveillance video seven more times. “I just want justice for David,” said Rolando Salinas, David’s father. The Ramirez family was instructed not comment to the media until after the trial. The trial revealed yesterday the two were in a relationship and had been enjoying an evening of bar hopping and drinking before the accident accorded at 1:47 a.m. on that early Aug. 30, 2016, morning. They had left the Tipsy Tavern together and were heading home separately. According to one witness, the two were offered a safe ride home because they had been drinking and refused. Blood alcohol tests show both Ramirez and Salinas were intoxicated, according to testimony. Ramirez tested at 0.24 and Salinas at 0.18 blood alcohol levels. Ramirez, 24, was driving a white 2015 Honda Accord when she struck Salinas, 29, as he was riding his yellow Kawasaki motorcycle and stopped at the intersection, police said. Police say Ramirez displayed signs of intoxication at the crash scene. After undergoing field sobriety tests, she was arrested and taken to the city jail. Investigators say she refused to provide a breath sample and was taken to a hospital for a blood test as part of Cameron County’s “No Refusal” policy. Phlebotomist Celina Castillo said on the stand while she drew Ramirez’s blood her emotions went from laughing, to crying and saying nothing. Ramirez was charged with a third-degree felony intoxication assault and a Class B misdemeanor possession of marijuana. Her initial bond was set at $32,000. Ramirez’s charges were later upgraded after Salinas’s death to second-degree intoxication manslaughter. 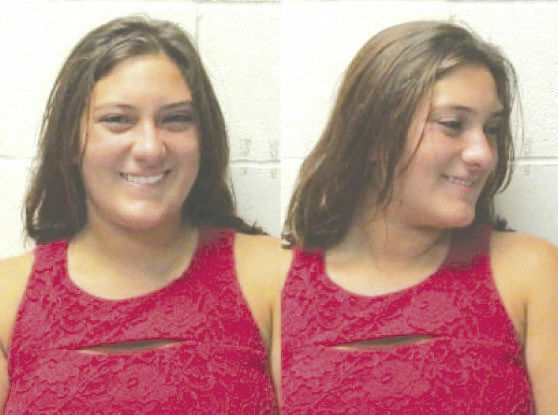 The accident drew a lot of attention last year once Ramirez’s initial booking mug shot was released of her smiling after the accident.